Imphal, Dec. 26: Licence will not be issued to the shops without dustbins, starting from 2018. It was announced by Thounaojam Shyamkumar, Minister of Municipal Administration, Housing and Urban Development (MAHUD). He was speaking as the Chief Guest of the function at the products launching and awards distribution function of SP Group Private Limited at Classic Grande, Imperial Hall. Minister Shyamkumar said that starting from next year, all the shops in all the Municipal areas need to procure licence and it will compulsory for all the shops to use dustbins. To procure licence for big shopping complex it will mandatory to have basement parking facility, he added. Adding that with sincerity we can take up any job, he said we need to support all the start-ups/entrepreneurs and give them positive advice. He assured the SP Group that, his department will buy the products from them. Thokchom Radheshyam, Minister of Education and Labour & Employment in his presidential speech said we will keep on succeeding in life if we keep up our trademark which is hard work, honesty and struggle. He also stressed on the need to groom the young minds by the established entrepreneurs. Lauding the employees of SP Group for their dedication, Th. Radheshyam said Manipuris face challenges with positive spirit. He also said white collar job is not the ultimate job and youngsters need to explore other areas in business. SP Group today launched Loktak Septic Tank, Loktak Super Tank (temperature control advance techno water storage tank) and Loktak Dustbin. To motivate the employees, two outstanding employees of the company were gifted with cars. As part of the function, a calendar was also launched at the event. PK Singh, Principal Secretary, Labour & Employment, Soso Lorho, former minister, S. Brajagopal Sharma, former minister, Dr. Ch. Manglem Singh, Prof. JNIMS Hospital, Mangi Singh, Retd Director, Planning Department and Preshyojit Sharma, Chairman & Managing Director, SP Group and employees of the company also attended the function. Imphal, Dec. 26: Even as the state government under the leadership of Chief Minister N. Biren Singh has committed to discontinue the re-engagement of retired officers, many still continue to hold office till today. In yet another development, process for service extension of the Additional Chief Engineer CADA (Command Area Development Agency) K. Lokeshwor Singh, who is due to retired on December 31, 2017 is being underway, a source said. On getting the source, the All Manipur Command Area Development Employees Association (AMCADEA) had submitted a memorandum to the Principal Secretary of the CAD stating that the service extension of the said Additional Chief Engineer is against the interest and fundamental rights of the junior officers and staffs of the department and also is against the state policy to discontinue service extension after superannuation. In a press statement, the CAD Employees Association said that Manipur Government inspite of its state Policy not to give service extension after superannuation is processing to extend the service of the Additional Chief Engineer by proposing a cabinet memo to be placed before the cabinet. The association said that it will strongly opposed to any such service extension as it violates the state policy as well as it deprives the fundamental rights of the junior employees. Observing ‘Good Governance Day’ is yet another plus point of the Narendra Modi Government even though there are some criticism as the day coincides with Christmas Day. It reminds those in the government on how important it is for the political party to make sure that the country marches forward. India being a quasi federal structures rely its good governance to the performance of the government in each states. Accountability of those in power in the state government is a factor that determines the stature of the governance. When a state fails to prove things it is doing to achieve the goal of observing the Good Governance Day, then there is no doubt that the government have no respect for former Prime Minister Atal Bihari Vajpayee, as the Narendra Mobi Government started observing the day as a mark of respect to the leader after he was awarded Bharat Ratna by the president of India. Mr. Vajpayee now 94 plus, is the first BJP Prime Minister of the country and Good Governance is the dream project of BJP and is designed after another BJP led government under the Prime Minister Narendra Modi came to power. BJP Manipur Pradesh yesterday observed the ‘Good Governance Day’ at its Party Head Quarter here in Imphal. Chief Minister N. Biren Singh, Works Minister Th. Bishwajit and many other Ministers, MLAs, and functionaries of the BJP Manipur Pradesh took part in the observance function. While observing the good governance day here in the state of Manipur, those in the power including chief minister himself seem to have forgotten that the greatest challenge of good governance is ‘corruption’. Soon after Nongthombam Biren Singh installed his cabinet colleague, he showed dead serious about eradicating corruption and to make sure that corruption is wipe out of the state his government set up Anti Corruption Cell (ACC), a small but effective measures to control corruption of any form (as stated) by medium class employees. Whereas, this ACC will be able to root out corruption at higher ups is still a matter still question by many. State government is empowered to establish unit to check corruption, but setting up of a corruption cell is not enough to control level of corruption. There are certain statutory bodies as well as government departments which are incorporated with the checking of the corruption, already existed in the state and there are also others which the state government is yet to establish for fighting corruption. Lokayukta Bill, 2011 which was passed by the state assembly in December 2017 still is not existed in the state of Manipur. 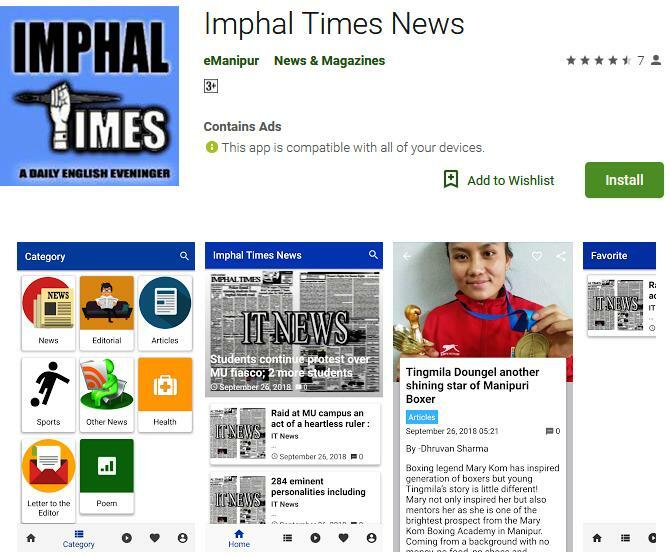 Manipur Information Commission (MIC) is another statutory body which helps the public in getting information on what the government departments are doing. This MIC is presently run by a Chief Information Commissioner after the state Information Commissioner retired in March, 2013. As per the guideline, the government should appoint 10 members for effective implementation of the Right to Information Act. Violation of Human Rights is also another form of corruption and the state government still has not revived the Manipur Human Rights Commission. State government’s own Vigilance Department is more like a toothless tiger with government not giving much important to it. Systematic study of the kind of corruption that the government need to tackle is the need of the hour if it feels and desire that corruption should be root out from the soil of the state. But it is not possible to root out all form of corruption at one go. The nation needs to reform the electoral practice for wiping out the Political corruption. However, setting up and make every tools for checking corruption functional will definitely check the level administrative corruption and the professional corruption. There are certain characteristics of good governance as according to the United Nations Development Programme. As per the UNDP report of 1997, under Government for Sustainable Development there are eight characteristic of good governance. Of those, Consensus Orientation by the government is somewhat successful by the Chief Minister N. Biren Singh led government. When transparency and accountability is still a far away dream, it is not surprising to imagine on why the ‘Good Governance Day’ is observed with much fan fare by the BJP Manipur Pradesh which is leading the government in the state. A person can be fool for some time but he or she cannot be fooled all the time. Imphal, Dec 26: Manager of the MSPDCL Kongba Sub-Division has clarified that no employees or linemen of the corporation had collected fines without receipts from consumers or disconnected power supplies under its jurisdiction. A statement from the corporation said that the MSPDCL have learnt that a group of miscreants pretending to be MSPDCL employees/linemen have been collecting fine without receipts and disconnecting power supplies without authorization. MSPDCL Manager, Umabati appealed the consumer to demand ID card during any interaction with personnel claiming to be MSPDCL employees. She also appeals not to hand over cash without any receipts and added that claims of extortion in this regard will not be accepted without employee identification. The statement also appealed consumers to inform to the Sub Division office for any impersonation of MSPDCL employees to take up necessary legal action against such person. Imphal, Dec 26: Volunteers of All Manipur Students’ Union (AMSU) celebrated Christmas with villagers of Twipajang Village of Kangpokpi district . The AMSU volunteers led by its president Manjit Sarangthem gifted edible items , clothes beside wishing them a prosperous future with the coming of the Christmas festival. The village is inhabited by Thadou tribe, one of the largest community of the state. AMSU President Manjit while speaking on the occasion expressed gratitude to the villagers for allowing them to celebrate the festival together with the spirit of brotherhood. A grand feast together marks the occasion. The AMSU team also inspected the condition of the UJB School in the village resided by around 210 people. The team expressed dissatisfaction to the negligence of the government authority in seeing the condition of the school as well in finding how the villagers are deprive of their rights from getting government beneficiaries. Imphal, Dec 26: 11 Assam Rifles also celebrates Christmas Day at Moreh Company Operating Bases. A statement of the IGAR (South) said that the AR distributed Bibles and Wall Clock to ninety-five Churches in Moreh and nearby areas. Various ceremonies and interaction followed by tea with locals and Pastors at IB location and Company Operating Bases, Moreh and Church Function at unit Church at Moreh Helipad were also organised from December 20 to Dec 25, the statement added. The series of interactions and celebrations concluded with Church function, cake cutting ceremony and feast with civilians organised yesterday at Moreh Helipad location. Imphal, Dec 26: Consumer Affairs, Food and Public Distribution Minister Karam Shyam attended Christmas celebrations at Laiching Meipou Baptish Church in Laiching Meipou Village, Machi Block of Tengnoupal District. The Minister appreciated the villagers for upholding the traditional customs and rituals of the forefathers. The Minister was accorded rousing welcome by the villagers lead by Village Chief and the village elders. Laiching Meipou Village has just 60 household and a population of 600 people. Minister Karam Shyam said love conquers all things and urged the villagers to follow the teachings of the lord. Irrespective of one’s faith, we all have a sense of duty to ourselves and to one another to make a difference in the world, he added. Stating that it is an honour to be the first ever Minister to visit the village, Minister Karam Shyam said it the love and affection of the people of the area which compelled him to celebrate Christmas with the villagers. He also promised to help the villagers in developing the area by approaching concern MLA, Deputy Commissioner and other officials. As part of the Christmas celebrations, cultural dance and other performances of Maring tribe were performed. Attending the celebrations were Revenue Commissioner Th. Chittaranjan Singh, CAF&PD Director Ranjan Yumnam, Deputy Secretary- Revenue Y. Rajen Singh, and other officials.